Centrifugal powder coating machine is new-developed equipment on the basis of rotating bed. 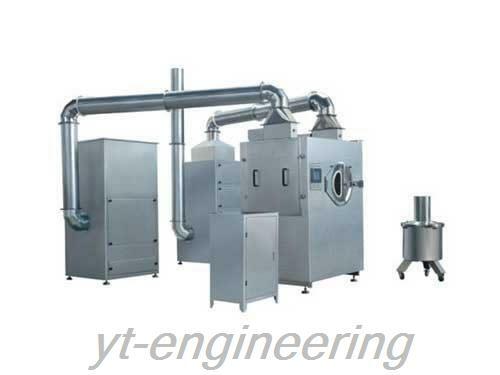 This centrifugal dusting coating machine is equipped with automatic powder spraying and coating fluid measurement devices. 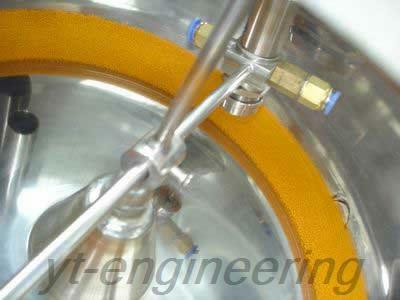 1.Centrifugal powder coating machine provides a complete procedure for coating and drying. 2.The materials will not gather together easily or adhere to the wall since centrifugal dusting coating machine adopts liquefaction operation. 3.Fluid volume in the centrifugal powder coating machine can be controlled automatically and the bed temperature is stable with no splash. 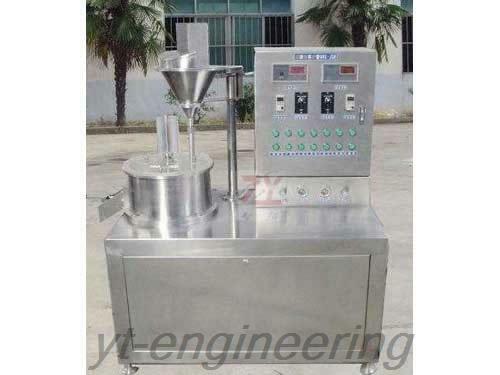 4.Centrifugal dusting coating machine sprays the powder automatically with accurate measurement. 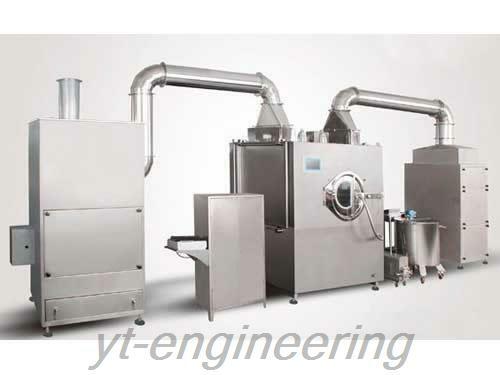 5.This machine has the advantage of high process repeatability. 6.The design and manufacture of centrifugal powder coating machine meets the GMP standard, and also it can be cleaned quickly and thoroughly with no cross-infection. Yutong has long-term cooperation with domestic universities and colleges. In addition, we hire experienced professors and engineers, two of them have more than twenty years’ experiences. Centrifugal powder coating machines have acquired several national patents, having strong development and innovation capacities. We have rich experience in design and manufacture, and a group of skilled workers with many years of production experience. All the centrifugal dusting coating machines have superior quality, so as to reduce the costs and losses from the rework.